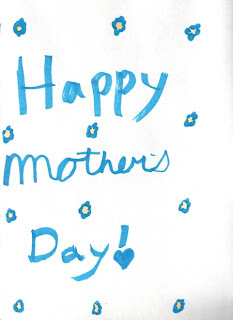 About a month ago I posted the Mother's Day gift I received from Ella (read it here). Kids are so unfiltered and so precious. Of course I cannot leave out the thoughtful gift from my other daughter, Rose (9). Along with a copy of her class picture, she gave me a book with a lovely letter and a story about helping me. It always amazes me what kids pick up on, not thinking that they will ever remember, or even cared about a particular event or gift. But they are definitely little "sponges". 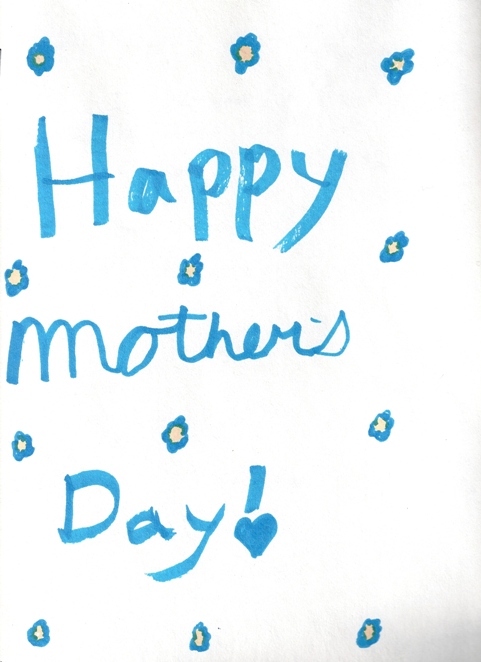 This story turned out to be more about her helping me (which in my book is a wonderful Mother's Day gift - any day of the week!) than it was about how I made her feel. Apparently, it make her feel super special to take the lead. "One time when I helped my mom was when I woke up early and got dressed, fed my dog Tate, and then quietly woke up Ella, my sister. After I woke up Ella, I went up stairs and packed the lunches. I packed a PB and J sandwich, some pretzels, 2 cuties (oranges, and a bag of M&M's. What I felt when my mom woke up and I told her what I did - I really felt her thanking me because my mom just had a baby and she wakes up like, 3 times each night. I tried to get her to go back to sleep but she said no! And I poured her coffee and my step dad came back and he was so happy that we got to go to the mall and pick out lunch from the food bank (this was supposed to read "court" ha! ha!) at the mall. And I thought that my mom would just tell my step dad that "Rose woke up early and packed the lunches" But no. My step dad really said when we were eating lunch "Thank you so much for helping your mom. I really do appreciate it!". I took that as 2 whole thank yous, just because I packed the lunches. I thought it would be no big deal. But my mom and step dad took it very deeply and seriously. And now I just really want to squeeze my mom and my step dad because they thanked me for just packing lunches." Wow! I had no idea she would love picking out her own lunch at the food bank, errr, food court (ha! ha!) so much. It was definitely something she remembered. And of course, I remember that morning and how much it meant to me to have her help. Rose is going to be a good little mommy when she grows up!